- 8 Color Settings including Color Change Mode! 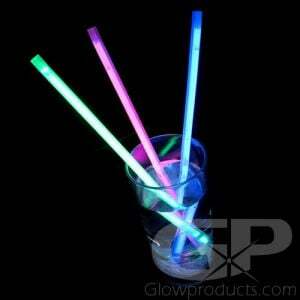 Light Up Drinking Glasses (LED Tumbler Glasses) 8 Different Color Settings to Choose From? 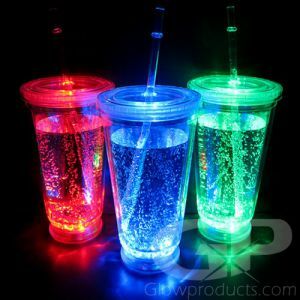 Then you must be talking about GlowProducts.com's Multi-Color Light Up Tumbler Glasses! 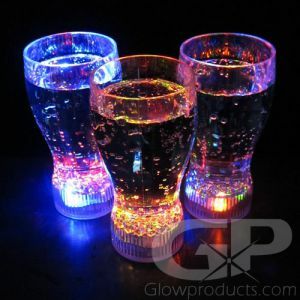 The Glowing LED Tumblers are cool, versatile drink glasses that are just right for high balls, lemonade, soda pop and make great water glasses as well! 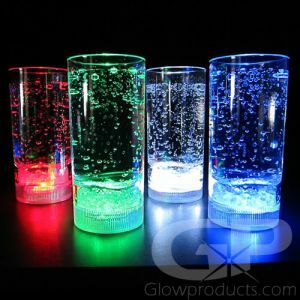 These Multi-Color Glowing drinking glasses are a 12 oz High Ball style glass and have 8 different color settings including a rotating multi-color rainbow setting! 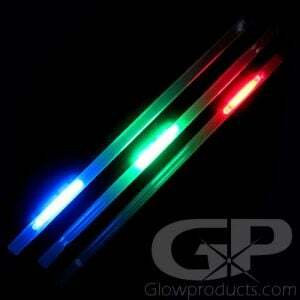 With the 8 color settings to choose from you will always find the right color for your event! 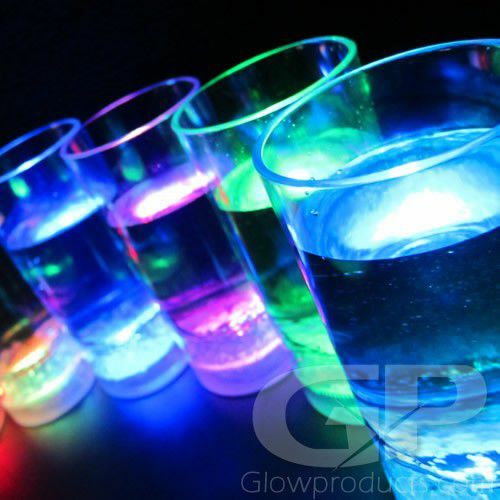 Glowing LED Drink Glasses are the perfect addition to any type of glow party, lighted celebration or special events such as weddings, banquets, or anniversaries. Just push the button and turn your glass into a fantastic light show! Instructions: Press the button at the base of the Glowing Drink Glass to turn it on and rotate through the 8 color and light modes. 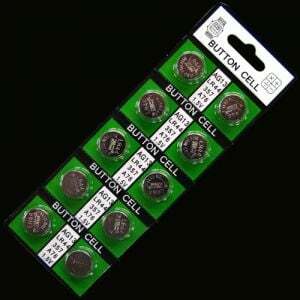 3 repleacable AG13 batteries are included. Wash by hand with warm water and soap. 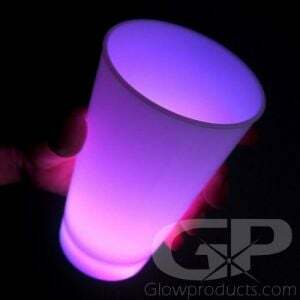 LED Glowing Tumbler Glasses are also available in Single Color Selections!